Green Lantern may have been panned by audiences, but the film did do some good within Hollywood. After all, Taika Waititi says he learned what not to do with Thor: Ragnarok thanks to the film. While Waititi may be best-known as a director these days, comic book fans will remember the man from Green Lantern. Waititi was cast as Thomas Kalmaku, a friend to Hal Jordan and engineer at Ferris Aircraft. The director’s role was a supporting one, but Waititi managed to learn a lot from his time on set. And, when ComicBook’s Brandon Davis had a chance to visit the set of Thor: Ragnarok, Waititi brought up his Green Lantern lessons. “When I was in [Green Lantern], I was just determined to try and do a good job with the job I was doing there. I spent a long time just sitting around on set, and so I’d watch a lot of how Martin [Campbell] would run things. And he’s a great – he runs a set very, very well and very efficient. But [it’s] very different to the way I do things,” Waititi started. If you ask DC fans what went wrong with Green Lantern, you will get plenty of answers. Some will say casting led to its fall while others blame Warner Bros. and its nit-picky demands. In the past, Ryan Reynolds has opened up about his thoughts on the film, and the lead actor said Green Lantern’s ultimate flaw was its script. Marvel Studios wasn’t about to let Thor: Ragnarok go into production without a working script, so Waititi had a leg up there. The director will get to prove just how much he learned on Green Lantern when his own superhero film drop in November. And, based on Waititi’s words, fans are feeling confident the blockbuster will pull in better reviews than Green Lantern did. 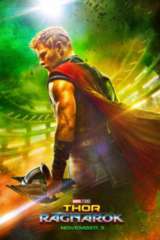 Thor: Ragnarok opens in theaters on November 3, 2017. Give the film your own Anticipation Ranking below!